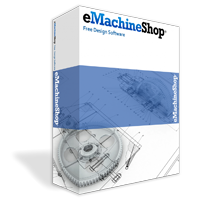 We’re sorry that you chose to uninstall eMachineShop CAD software. To reinstall, visit the eMachineShop Download page. Did you know that eMachineShop also manufactures custom parts using design files including DXF, STEP, IGES, SLDPRT and more. Drawings, photos and written descriptions are also accepted for quotation. We offer free shipping within the contiguous USA and guarantee that parts will meet your specifications. Get a fast quote now.